One of my favorite examples is “Confirmation Bias.” Most of us like to think that we are objective in our opinions and beliefs, but the truth is that we pay attention to facts that line up with what we already believe while we ignore truths that contradict our beliefs. Here is one simple way this works: you read an article about the new Chevrolet Camaro and suddenly you see them everywhere, when you had not before. Does this mean that more people have purchased them in the last few weeks? No, it just means that they are on your mind so you now notice them. Your bias (from reading the article) is confirmed (now you notice them). Categories: Books, Nonfiction, Ron's Picks, Science | Permalink. David Ponder had come to the end of his rope and couldn’t even find the emotional strength to tie a knot and hang on. A 46-year-old down-sized executive with a mountain of debt, no prospects, no insurance, and a sick daughter, Ponder takes a hopeless drive to nowhere. Going way too fast, he hits an icy bridge and spins out of control, all the while screaming, “Why me?! ?” He wakes up, not in a hospital, but in an office in Potsdam, Germany in 1945. He doesn’t know it yet, but his journey is just beginning. The central theme of The Traveler’s Gift seems to be that great people rise to great challenges while being refined by great adversity, whereas ordinary people give up and check out. Andy Andrews could have just written a motivational book with his “seven decisions for success,” thrown in some nice anecdotes, and left it at that. Instead, he tells the story of David Ponder as he is given the gift of time travel so he can learn these lessons personally from observing the lives of great people. Categories: Books, Philosophy, Quick reads, Ron's Picks, Self Improvement, Travel | Permalink. Poor Israel just wants to be a librarian, and so he is rather excited when he gets the job as librarian of the Tumdrum and District Public Library in Northern Ireland. His bubble is burst in a big way , however, when he arrives after a harrowing trip from London to find the library permanently closed. The good news, however, according to his boss, Linda Wei, Deputy Head of Entertainment, Leisure and Community Services, is that he still has a job as the Outreach Support Officer of the mobile library. Israel has no intention of driving a mobile library, but when Linda shows him the contract he signed, he has no choice. Ted, an ex-pugilist and gruff mobile library assistant, shows Isreal the rusted-out mobile library van and takes him to the closed library to load the books. To their shock, they discover that all 15,000 books are missing. So begins Israel’s adventure, which is nothing more than one mishap after another with a healthy dose of culture shock thrown in for good measure. I am tempted to tell you some of the hilarious things he suffers, but I do not want to take away any of the wonder of the reading experience. Categories: Adventure, Books, British, Campaigns, Characters, First in a Series, Humor, Mystery, Plot, Ron's Picks, Setting | Permalink. The world is a dangerous place, but don’t worry. You can sleep easy tonight knowing there is a group of people on the front lines keeping us safe. You see, the world is full of magic, monsters, mystery, and miscreants. These miscreants want to abuse the magic and use the monsters for their own nefarious purposes. Often, the magic exists in the form of artifacts that contain mysterious powers. These artifacts must be kept out of the hands of the miscreants and stored safely in the Library. This is the job of the Librarians. Categories: Adventure, Campaigns, Fast-paced, First in a Series, Movies, Ron's Picks | Permalink. 700 Sundays are not a lot for a boy to have with his father. 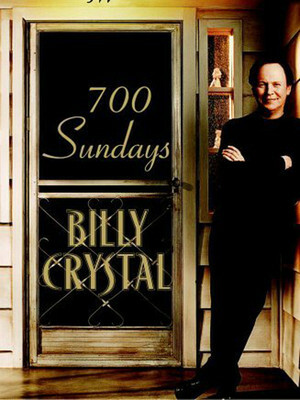 Yet that is how many Sundays Billy Crystal had with his. Billy tells us the story of his life through the lens of the Sundays he had with his dad. Jack, Billy’s dad, managed the Commodore Music Shop on 42nd Street between Lexington and Third in New York City. On Friday and Saturday nights, Jack produced free jazz concerts. So Sundays were the day Billy spent with his dad. Now, this book (and DVD) is not just an autobiography. It is far too entertaining and hilarious for that. On the other hand, it is not just a comedy routine. It is far too warm and clever for that. Somehow, and this is Billy’s genius, he has combined the two and come away with something truly stupendous. It is moving and poignant, while being comical and witty. Billy Crystal has had a pretty amazing life. Whether you read the book, watch the DVD, or both; you are in for the ride of your life. Check the PPLC Catalog for 700 Sundays. Categories: Book to Movie, Books, Family Issues, Humor, Large Print, Memoir, Nonfiction, Quick reads, Ron's Picks | Permalink. How does a young boy from Mumbai, India become a world-renown French chef? 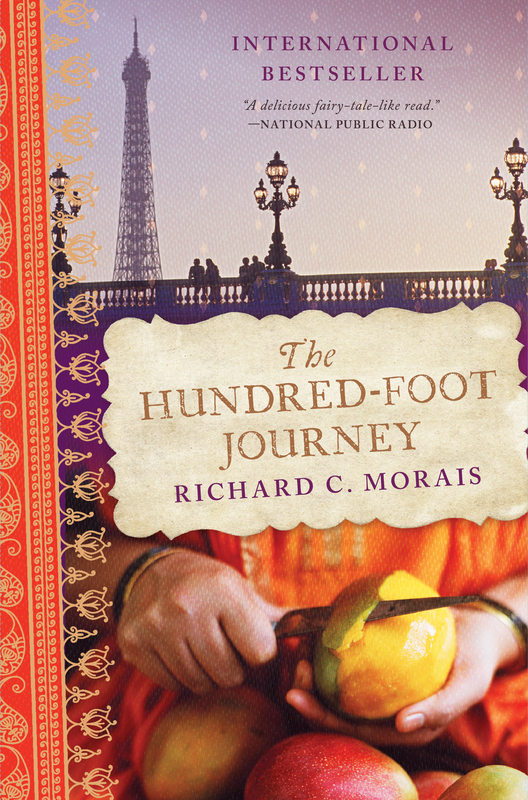 That is the story of The Hundred-Foot Journey by Richard C. Morais. Hassan Haji was born into a family of restaurateurs. His grandfather started a small roadside café in Mumbai, which became very popular with the Allied servicemen of World War II. By the time Hassan was born, Abbas, his father, had taken over the restaurant and it had become quite successful. While Hassan was still in his teens, tragedy strikes the family and Abbas sells everything and moves the family to Europe. They live in England for a couple of years before fate steps in and lands them in the small French town of Lumiere. It is here that Abbas decides to put down roots and open an authentic Indian restaurant. That would have been all well and good, but the location he chose was right across the street from the elegant restaurant of the famed Madame Mallory, French gourmet chef extraordinaire! That is when all hell breaks loose. Reading this book stirred two desires in my heart. The first was to go and visit the places mentioned in this book. Lumiere is a town in the French Jura, which is a mountainous region on the border of Switzerland. Morais paints a picture of lush valleys, stunning vistas, meadows of wildflowers, and clear streams running through a pine forest. Wow, I wish I was there right now! The second desire is to create amazing food. Morais so beautifully describes the various dishes created by all the chefs in the book that I also want to be able to prepare cuisine that is delicious and unique. I don’t think I want to go as far as the snails and octopus, but to make something besides hamburgers would be pretty cool! So give the The Hundred-Foot Journey a read. The book is sometimes comical, sometimes dramatic, but ultimately inspiring. Who knows, maybe it will inspire you to visit France and/or become the next great chef. Or it might just make you really hungry. Check the PPLC Catalog for The One-Hundred Foot Journey. Categories: Audiobook, Book to Movie, Books, Contemporary Fiction, Drama, Family Issues, Food and Drink, Humor, Literary fiction, Plot, Quick reads, Ron's Picks, Travel | Permalink. The phrase “the power of introverts” seems like an oxymoron. Yet, that is what Susan Cain proves in her book, Quiet. She is an introvert herself and gives the following reason why she wrote the book: “Our schools, workplaces, and religious institutions are designed for extroverts, and many introverts believe that there is something wrong with them and that they should try to ‘pass’ as extroverts. The bias against introversion leads to a colossal waste of talent, energy, and, ultimately, happiness.” Being an introvert as well, I know this to be true. The book is filled both scientific evidence and personal anecdotes. One example is the move to the “open office” space and its effect on the productivity and well-being of introverts. The days of individual offices and even cubicles are going the way of the dinosaur. The new trend is to have everyone work together in an open area with no walls or dividers so as to maximize the group dynamic. That is all well and good for the two-thirds of the people who are extroverts, but introverts do their best work alone; they are worn out by dealing with people and energized by privacy. So one-third of the workforce has their productivity, job satisfaction, and ultimately, their well-being decreased because of a one-size-fits-all bias towards how people should work. Cain makes the science interesting and her real-life illustrations drive the point home and put a human face on the topic. Introverts will want to read this so they can better understand who they are and how they function best. And extroverts should read this book because it will help them understand the people around them who are different. 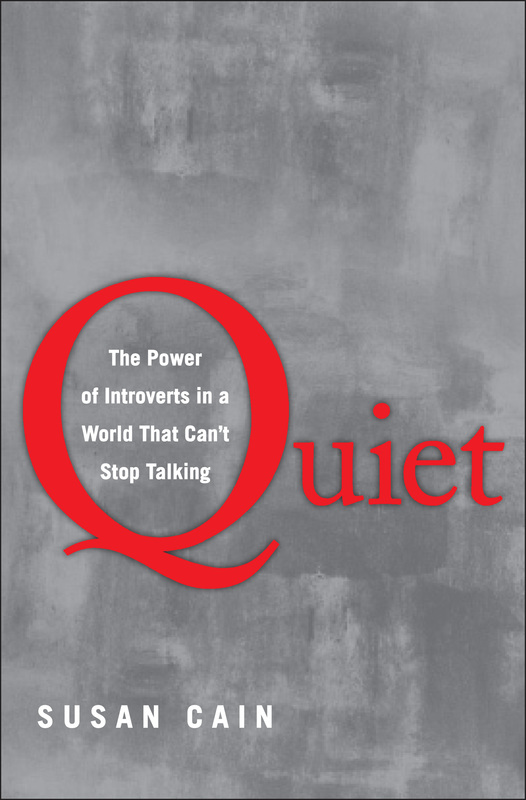 Decision makers should read this book so they can begin to make positive changes to allow the introverts to become all they can be. Try a little Quiet – society will be the better for it. Check the PPLC Catalog for Quiet. Categories: Audiobook, Books, Nonfiction, Ron's Picks, Science, Self Improvement | Permalink.